Absolutely Beautiful 3 bedroom, 2.5 bath home including TWO MASTER SUITES WITH ENSUITE BATHS!! 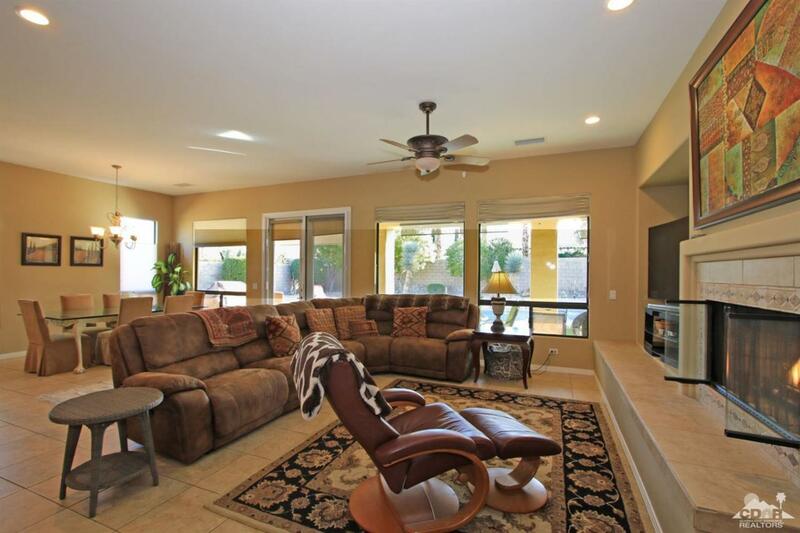 Spacious Great Room, Media Niche, Custom Fireplace and Wet Bar with Glass Shelving! Gourmet Kitchen with Dual Islands, Slab Granite Counters and GE Profile Appliances! Cozy breakfast nook to read the morning paper! Formal Dining Area. Step out to the private rear yard and take a dip in the custom Pebble Tec Salt Water pool and spa! This is where it's happening!!! Fantastic location close to the Empire Polo Club, Coachella and Stagecoach music festivals, Tennis Gardens, Golf and Fine Dining!! This home is perfect for full time living or vacation rental. LOW HOA's of only $126.00 per month! Short term rentals are welcome! Be the first to see this fabulous home! YOU WILL LOVE IT!! Cross Street Address 49th Ave. Listing provided courtesy of Lori Darling of Real Estate Associates Of The Desert.